This week felt long, guys. I don't know about you but when it came to the weekend, I was preeeeetty excited to be honest. It started off on a high note with my best friends gathering together talking about our alma mater, Ohio University! More to share on that later, but I feel so, so grateful to have such close friends that feel like family. Other highlights included hanging with Fort Point Beer, California Olive Ranch Olive Oil, Salt & Straw, and a few others to see Dirty Harry at Campsyte. It was such an EPIC experience! 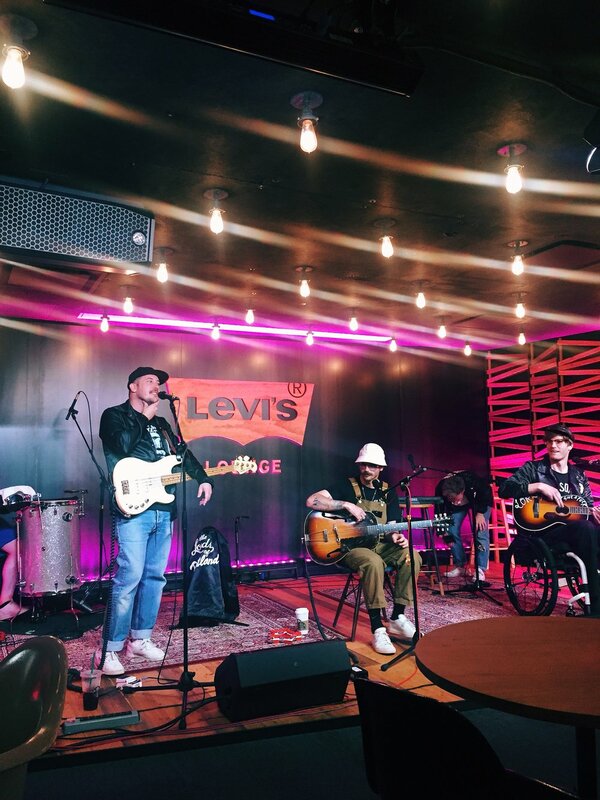 Oh, and how could I forget about seeing Portugal.The Man at Levi's Studio with fifty or so other lucky people! So exciting! And of course, early Saturday morning hikes at Lands End, coffee runs at Trouble Coffee, Gin tasting and cocktail making at Anchor Distilling with the delicious No.3 London Gin, and kayaking in Healdsburg for Lauren's birthday. Hope you had an epic weekend and happy Monday!